A.J. Mahari, talks about the reality that those who have a borderline mother, or father, or as in her case, both, and who are an adult-child of a borderline need to actively engage their own recovery process. Anyone who is an adult child of a borderline mother (or parent or parents) needs to find his or her own recovery, whether they too were diagnosed with BPD or not. 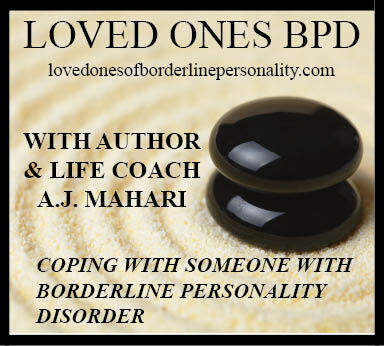 If you do have BPD and you have a Borderline Mother or parent it is likely that your recovery as the adult child of a borderline parent will require the foundation of your recovery from BPD itself, yourself. The legacy for the adult child of a borderline parent is loss. It is a loss that must be actively dealt with and grieved if one is going to be able to free oneself from the devastation of patterns of relating that are related directly to one's childhood experience.